We’ll give you an overview of the most important questions to ask your real estate attorney in NYC in this article. You’ll know how to interview a real estate lawyer in New York City after studying the following list of questions! Having a competent real estate attorney is arguably more important than having a veteran buyer’s agent by your side when buying a home in New York City. Although important in themselves, buyers’ agents are only responsible in NYC for matching buyers and sellers on price and key transaction terms. After an offer has been accepted, the real estate attorney takes over and handles all aspects of contract negotiation, legal and financial due diligence and the closing process. As a result, it’s extremely important that you have an experienced, trustworthy and competent real estate attorney guiding you through one of the most important transactions of your life! What Other Areas of Law Do You Practice Outside of Real Estate? Will You Personally Be Working with Me or Will You Hand Me off to Your Paralegal? How Attentive and Responsive Will You Be? Is Your Legal Fee All Inclusive? What Does Your Due Diligence Entail? Are You Affiliated with a Title Company? What Kind of Computer or Email Security Does Your Law Firm Employ? This is a trick question as the last thing you want is for your lawyer to claim to be well versed in multiple other areas unrelated to real estate. If they’re claiming to be a practicing, top expert in criminal defense and divorce litigation in addition to residential real estate, then you may be in trouble. That’s because the field of law is so complex that the experts in each niche generally focus solely on their sector. There is simply too much depth of knowledge and competition in law for a lawyer to be simultaneously an expert in multiple fields! Therefore, be wary if the real estate lawyer you’re interviewing begins telling you that he or she is an expert in multiple unrelated fields because in all likelihood he or she is probably not the best in any of those fields! Be especially careful if your real estate attorney is also a litigator. If they litigate they will need to attend court often, and in court they absolutely cannot be checking their smartphones and responding to your file. Litigators will typically be completely unavailable in the mornings and early afternoons when they are in court. This does not mean they are bad lawyers, but in residential real estate transactions every second counts and you do want your lawyer to be able to respond to other parties during work hours. Please note that a real estate attorney who is not solely focused on real estate may not be familiar with the many niche aspects of the New York City real estate market. For example, are they well versed in the nature of NYC real estate taxes? Are they familiar with new construction and sponsor sales? Have they worked condo or co-op transactions before? Be careful who you work with because an attorney who is unfamiliar with the unique aspects of NYC real estate can end up costing you much more money than you’ll pay them if they make a mistake. This is an extremely important question to ask, especially if you’re paying a premium for a brand name real estate attorney. You may be working with the best real estate lawyer in New York City, but it won’t mean a dime if you get handed off to his or her assistant. This is why it’s very important to confirm in writing with your attorney whether he or she will personally be handling your file and attending your closing. If they intend to hand you off to their paralegal, secretary or associate, you need to know about it before committing. Just remember, if a paralegal shows up to represent you at closing, you will be at a disadvantage in all likelihood versus your counter party who has their lawyer there. Your counter party’s lawyer will be significantly more experienced and senior versus the paralegal and you will most likely lose on every item of contention. Don’t let that happen to you! 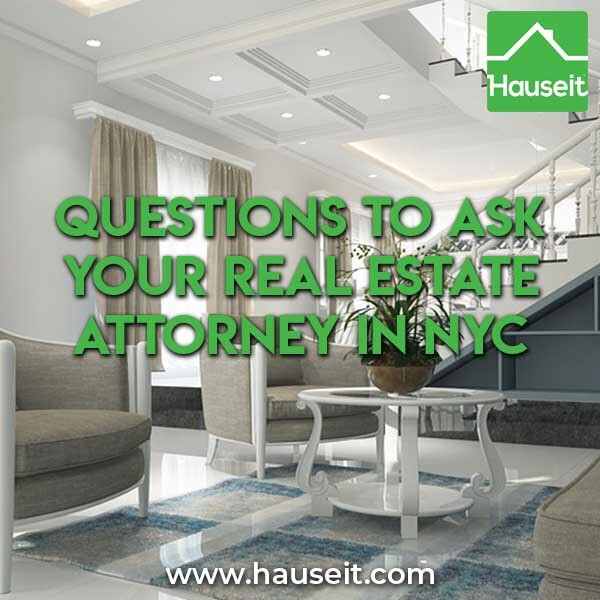 This may seem like one of the more obvious questions to ask your real estate attorney in NYC, but many folks will simply assume their lawyer will be responsive to inquiries within a professionally reasonable amount of time. In this day and age, that typically means being able to respond to emails within a few hours during a normal working day. You can easily test your lawyer on this by simply seeing how responsive they are to your initial outreach. 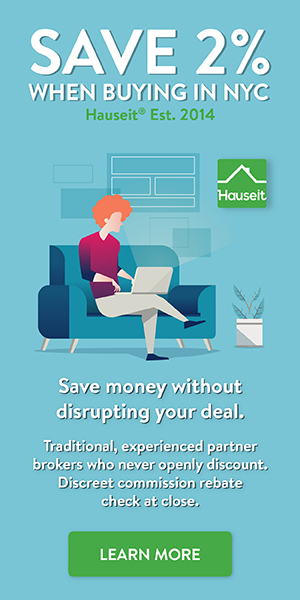 If they’re taking days to get back to a potential customer, then you probably don’t want to be working with them as a first time home buyer in NYC! This question is related to who will be actually working on your file. If the lawyer is used to having a paralegal or assistant handle customers’ files, then he or she may feel entitled to not have to respond to you. In this case, you may really not get a response for days from the actual lawyer who is simply sitting back and prodding his assistant to handle the customer! Be careful of lawyers who promise a very low fee to entice customers who then charge a la carte for everything from printing, phone calls, travel or attending the closing. Traditionally, real estate legal fees are typically taken at closing and consist of a one-time, all-inclusive flat fee. The only time some lawyers may charge anything on top of the flat fee is for the cost of messengers or shipping. You should get the amount of their fee and ideally what it includes in writing. A retainer agreement is not necessary for anything under $3,000 and most lawyers won’t ask for one. In the rare cases that they do, they may ask for half upfront and the other half at closing. Note: the really good lawyers know that their business is based on referrals and they’ll never take a client to court for anything under $3,000 anyway. As a result, they never need an engagement letter or other contract for anything under $3,000! A good real estate lawyer will conduct thorough contract, legal and financial due diligence on behalf of their buyer client regardless of the amount of their fee. If you’re buying a condo or co-op in NYC, that means they will review the building’s financial statements, board minutes and original offering plan. They will review and negotiate the purchase contract on your behalf and order and review a title report or coop lien search. They will guide you through and on closing day and much more. However, there have been cases of lawyers who provide low quality work or abbreviated due diligence either because of inexperience or lack of motivation because of the discounted fee they are charging. Sometimes, a lawyer may try to cut corners because of the heavy workload he or she is facing. You will need to discern this for yourself when interviewing a real estate attorney to see if he or she is currently very stressed out over having too much work. You don’t want someone who’s about to burn out working on your deal! A lawyer that is getting paid to refer clients to a title company or a lawyer that outright owns a title company may have a severe conflict of interest with their buyer client. If this is the case, the lawyer will often make much more money from the title company versus from their client. This is not good for buyers because the title company will want to insure as little as possible while the buyer will want to insure as much as possible. Since a lawyer in this situation won’t get paid from either party if the deal doesn’t go through, he or she may be incentivized to favor the title company in order to push a deal through. Usually the buyer won’t even realize this is happening! As you may recall from your research on NYC closing costs, title search and title insurance are some of the biggest closing costs in New York City! Therefore, it is entirely possible for a lawyer to charge a low rate for their services because they are making much more money from the title company. The New York State Bar Association has deemed this practice unethical; however, many law firms continue to do this. Side story: a buyer was having an issue financing a purchase of a house with an illegally constructed steam room. The seller had simply built it without obtaining any permission from the city government. After having been rejected by a few banks, the buyer was able to get it through with a new lawyer. What was the new lawyer’s trick? He used his own title company which operated very fast and loose. Of course the deal went through! Some of the most frequently forgotten questions to ask your real estate attorney in NYC are whether they have and how much they have of professional liability insurance and fidelity bond coverage. Often times simply due to prohibitive cost, law firms do have coverage but a very low amount. A low amount of coverage won’t do most home buyers very good when the average sale price in New York City is $2 million. This question is especially important for buyers of luxury apartments in NYC, defined as properties with sale prices of $10 million or more. When an insurance claim is warranted for a luxury transaction that goes wrong, many law firms simply will not have sufficient funds to cover the damages even if they do have insurance! Fidelity Bond Coverage: this covers against theft of client funds by employees. For example, a paralegal who really is short of money may be tempted to steal buyers’ contract deposits which are stored in the firm’s general escrow account. You will want to make sure there is coverage against this risk! Most law firms which have experience as lenders’ attorneys will have fidelity bond coverage as the banks will require it. While this may seem to be one of the more superfluous questions to ask your real estate attorney in NYC, it’s actually extremely important due to the amount of sensitive client information that is typically available to real estate attorneys. Remember that your lawyer will have sensitive information and data about you, including bank account information and social security numbers. You and your buyer’s agent may also have shared your Deal Sheet, REBNY Financial Statement and your co-op board application with your lawyer. This is not the kind of information you want to be hacked and sold on the dark web! Your lawyer has legal and ethical obligations to protect client data. While this does not mean they need to be tech gurus themselves, they should hire a tech consultant if they cannot themselves secure their clients’ data. Red Flag: be careful when you encounter a lawyer that uses an AOL or other non-professional email account. This is most likely a sign that this person either does not take security seriously or is simply less familiar with technology. The latter is not necessarily a bad thing; however, due to the increasing number of hacking attacks today on well-known personal email vendors like Yahoo!, it’s extremely important to work with a firm that has a secure email system and ideally an in-house network security team. Is Buying a Studio in NYC a Good Idea?